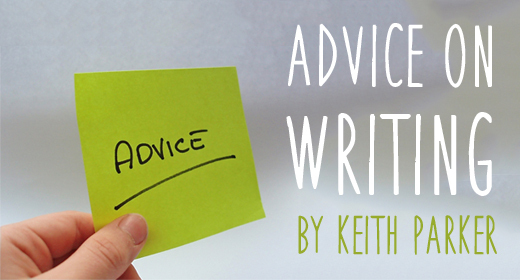 One of my favorite things to do as a fiction writer is to read advice about writing. In fact, I have three how-to books on my shelf here at NASA, and dozens more at home. My literary neighborhood, in case you don’t know, lies in that weird realm of fantasy where average, ordinary, everyday people are hammered by the outrageous or the extraterrestrial; so it should come as no surprise that my advice books are slanted toward speculative fiction. However, it’s worth noting that writing advice can be applied universally to every story, regardless of genre. Mysteries may not have a cool gadgets like sci-fi, but they do have creepy crimes. Romance novels may not have exotic settings, like Arrakis, but most people haven’t made love in Paris, either, so there’s that. And even though literary fiction may deal with real life, its characters are usually plucked from the extraordinary among us. For example, that dude from the 1800s, Phineas Gage? The one who had a railroad spike blasted through his head and survived? Yeah, he was extraordinary. How can you, as an aspiring fiction writer, learn the best techniques for short stories and novels? Simple: read. You should read a lot. And don’t just read in your genre. Read everything you can get your hands on. Now, assuming, then, that your bookcase is full of novels and short story anthologies, where do you turn for actual writing advice? The number of books on the subject is legion, but I’ll give you some of my favorites. Elements of Fiction Writing – Characters & Viewpoint, by Orson Scott Card (note: he has controversial political views; my commentary is solely on the value of this book). Write, Publish, Repeat, by Johnny Truant and Sean Hill (if you want to write eBooks). Elements of Style, by Strunk and White. If you were shipwrecked on a desert island with nothing but a word processor (and perhaps Mary Ann) and you had to write stories to survive, you would want Elements of Style by your side (with Mary Ann on the other). What, then, have I learned from reading and re-reading these? I’ve learned the obvious: fiction is about character, and specifically about character conflict. Think about it: Why is “The City in the Edge of Forever” one of the most popular episodes of the original Star Trek series? Because it’s about the heart-wrenching plight of characters. The same is true of “Amok Time” and “Balance of Terror”. What does all of this mean? It means that there is a ton of writing advice out there, it’s all very similar, and yet each is a little different. Write about characters already in dramatic conflict very early on (David Farland); write in active voice (Stephen King); and write so that every scene has goal, motivation and conflict (Cathy Yardley). These chestnuts are indicative of the kind of advice that each author uniquely (more or less) brings to the table. I hope I’ve done a little bit of that today. Until next time, take care.